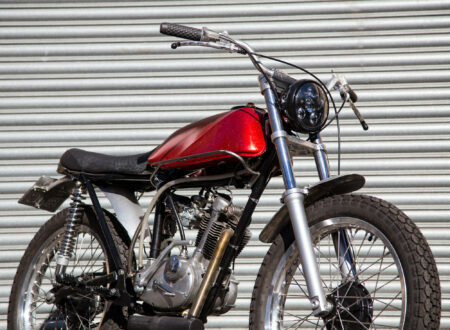 The Suzuki RG500 has been hailed by many as the Norton Manx of the 2-stroke era. 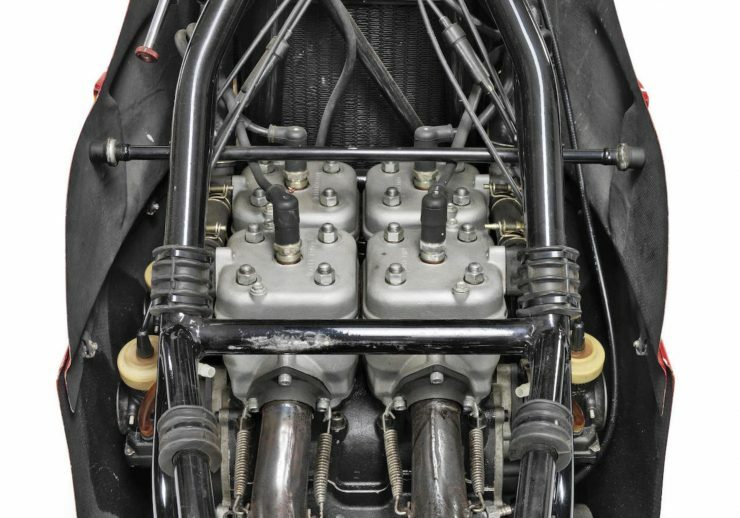 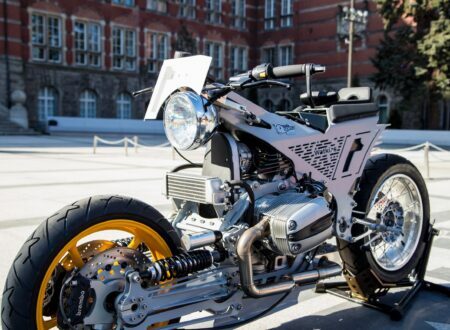 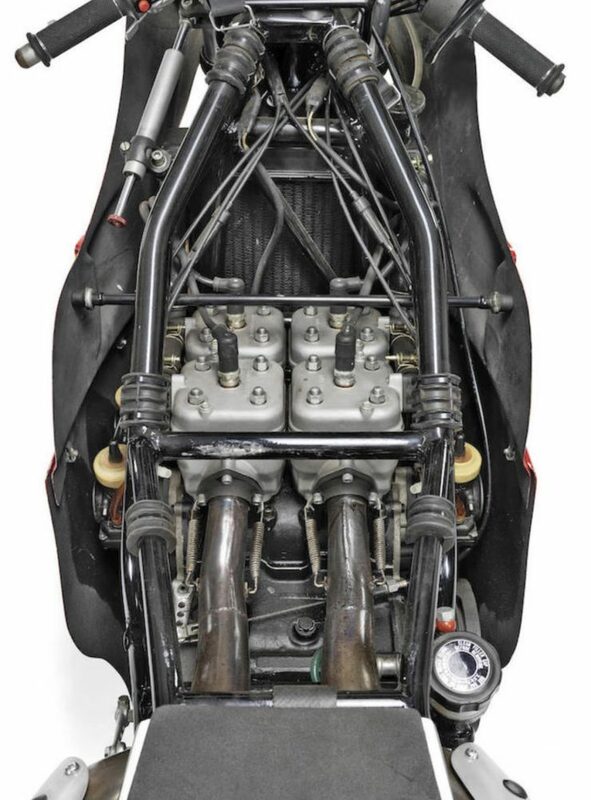 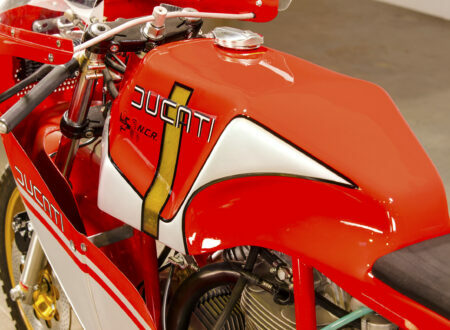 Its unusual square-4 engine launched the Japanese 2-strokes to the forefront of global motorcycle racing competition – and kept it there for the better part of 20 years. 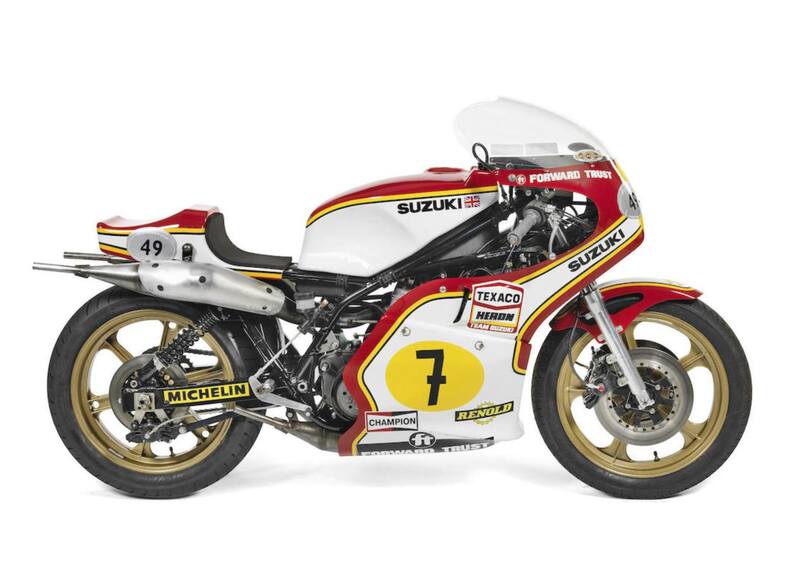 The water-cooled, square-4, 2-stroke powerplant used in the RG500 was a significant gamble for Suzuki, the bike was initially developed by just four engineers – two working on the engine and two on the frame and ancillaries. 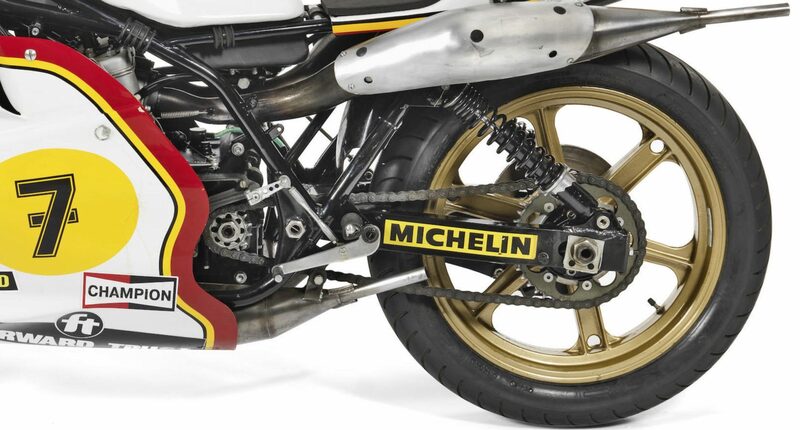 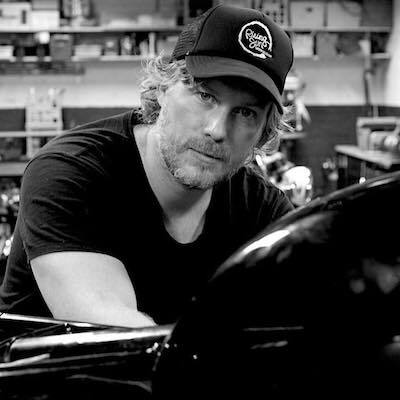 The RG500 engine has rotary disc-valves and four separate crankshafts which are all geared together, a gear failure would cause total internal engine disintegration, and a few riders including Barry Sheene discovered this the hard way. 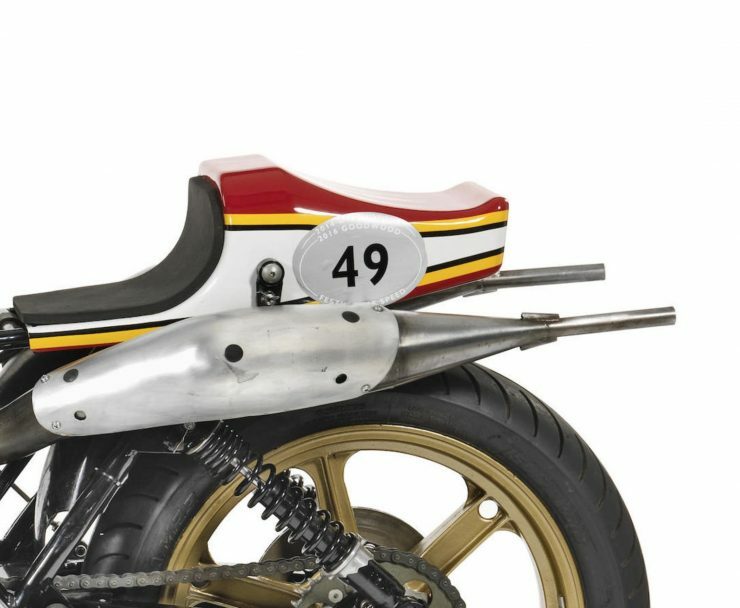 The power band was also incredibly narrow, and riders had to be exceptional at managing their right wrist, most of the tachometers didn’t even register RPMs under 5,000 – and it was startlingly easy for pilots to get to fresh with the throttle and high-side the bike coming out of a corner. 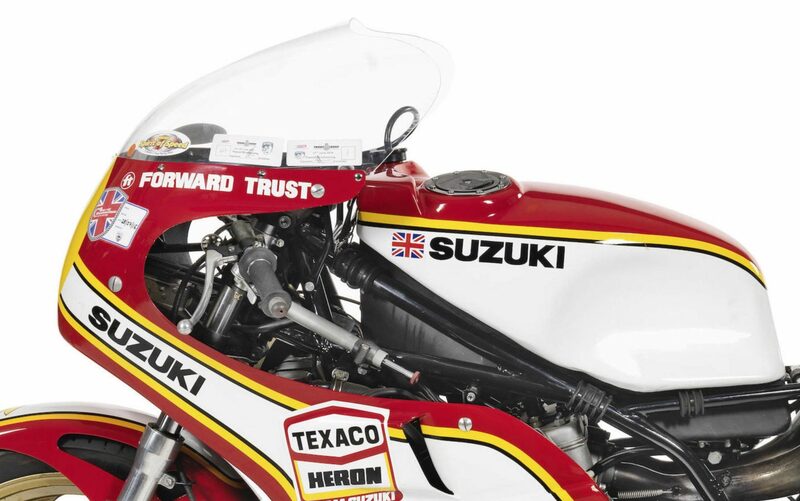 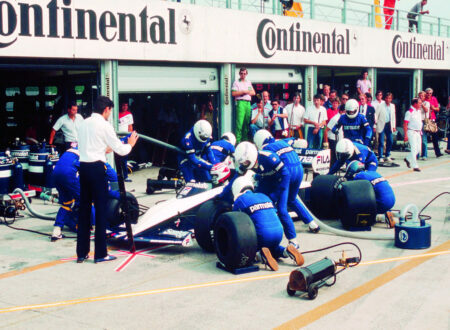 Perhaps Suzuki’s greatest innovation was the decision to offer the RG500 to privateers – it was a strategic move to greatly increase their chances of winning the constructors championship. 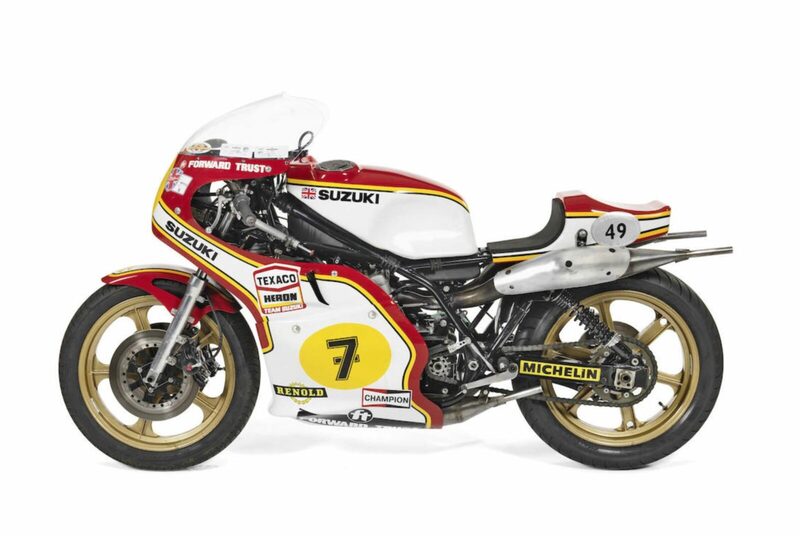 Which they did for 7 years in a row between 1976 and 1982, so significant was their dominance that in 1976 the top 12 points scoring riders were all sitting on either factory or privateer Suzuki RG500s. 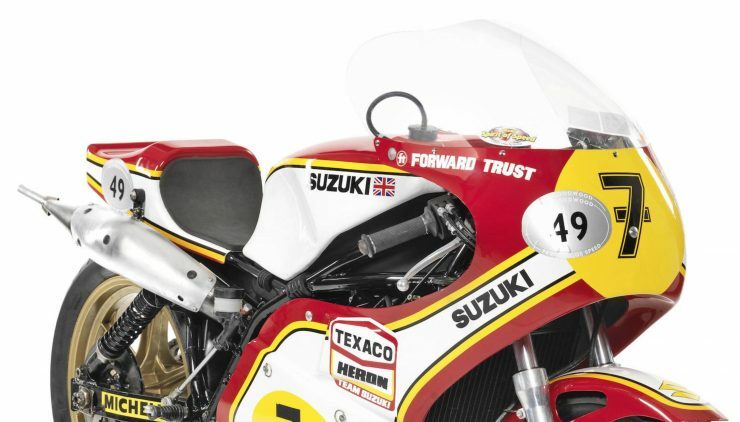 Over the course of its 1974 to 1990 production run, the various iterations of the RG500 were also ridden to four rider’s World Championships including Barry Sheene in 1976 and 1977, one for Marco Lucchinelli in 1981 and another for Franco Uncini in 1982. 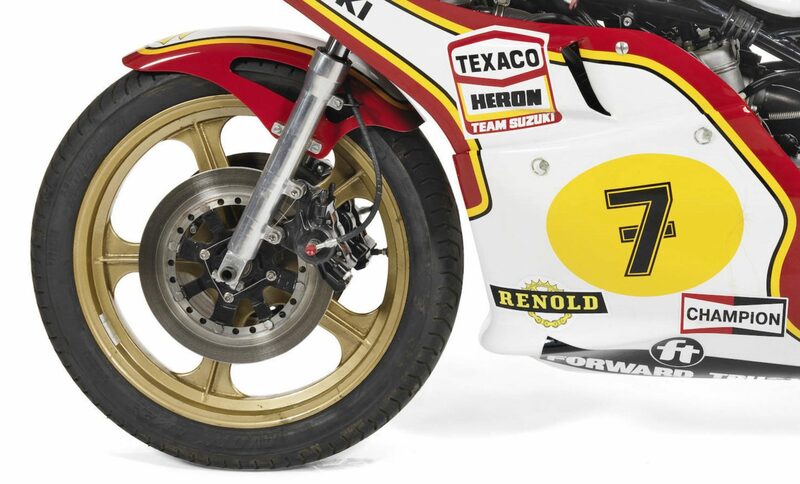 The example you see here is a Suzuki RG500 XR14, its a factory bike with the original magnesium wheels – which were never offered to privateers. 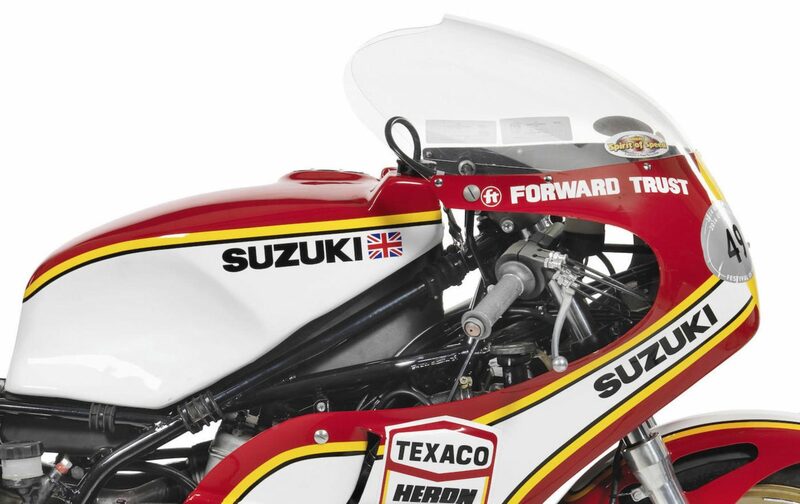 It’s an ex-Texaco Heron Team bike from 1976 and it’s been through a thorough restoration – though the original livery is still intact. 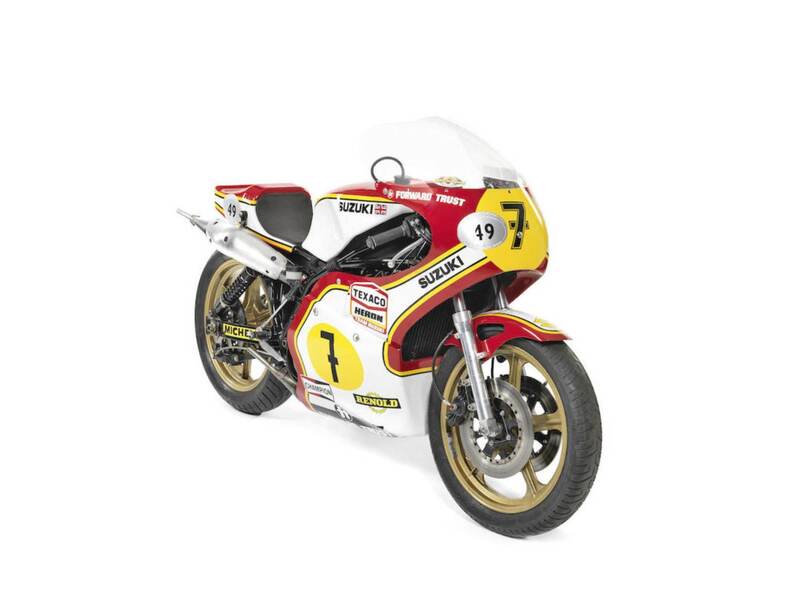 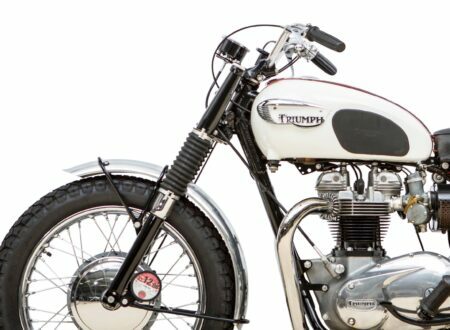 If you’d like to read more about it or register to bid you can click here to visit Bonhams.